is futile after all. 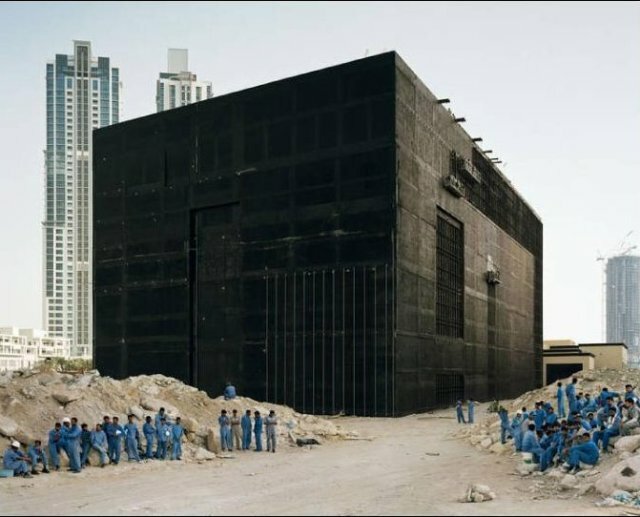 even though this looks like the borg landed amongst the blue man group in the middle of the desert, it's part of an interesting series of photographs by bas princen about rapidly developing urban centers like this one in dubai. princen trained as an architect and seems to approach many of his landscape photos from a design perspective. i especially like the incongruity of this particular image. it seems to evoke a 2001 pre-man dawn of time like feeling.